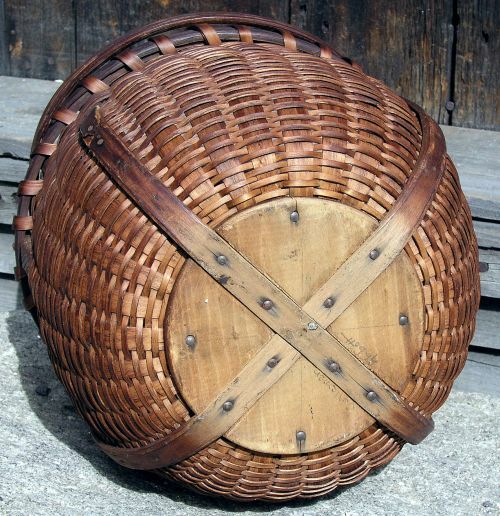 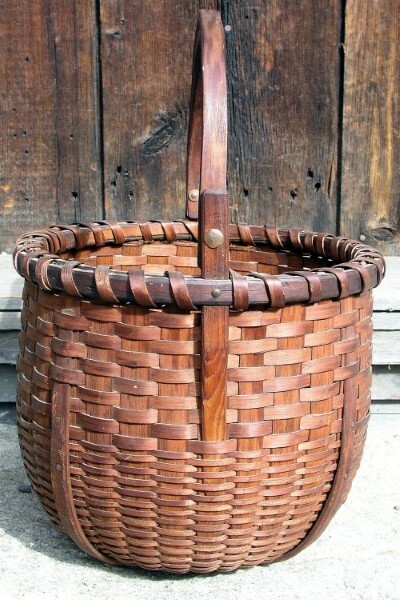 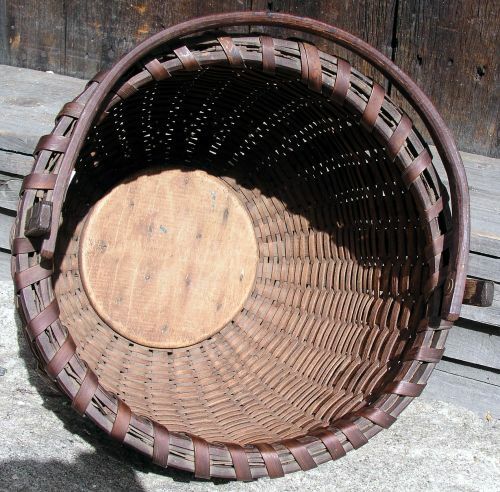 New Hampshire swing handle basket with wooden bottom and stave construction. 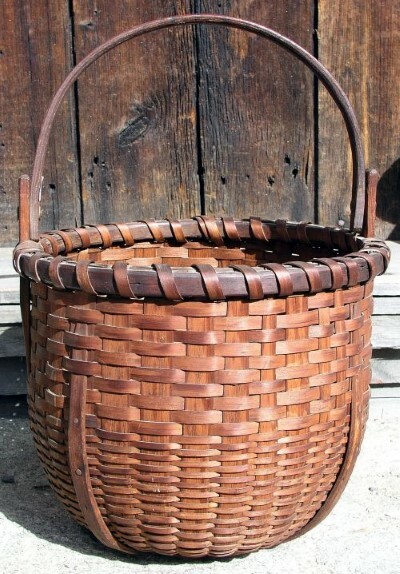 Great old color with unusual graduated splints. 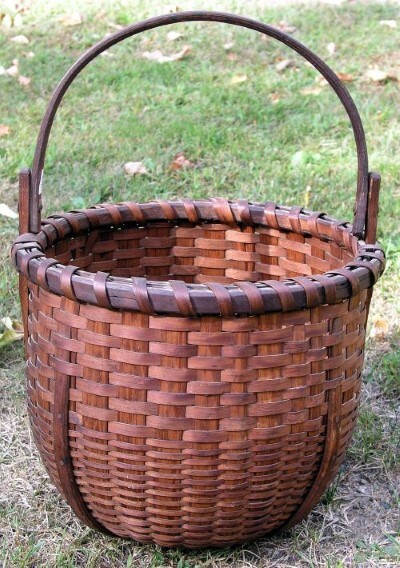 Dimensions: Measures 11" tall not including the handle X 13" across the top.